It's been a race against time. Seriously. I dont think I have ever fought this hard against hot temperatures, breaking holds, ground falls during clips and other odd coincidents that usually never occur within that short of a timespan. Achievments that you really have to fight for are usually the most rewarding one. To me Modeselektor definitely is one of those! In 2007 I took a first look at a project Joe D. bolted at the left side of the prominent cave of the Peggauer Wand. 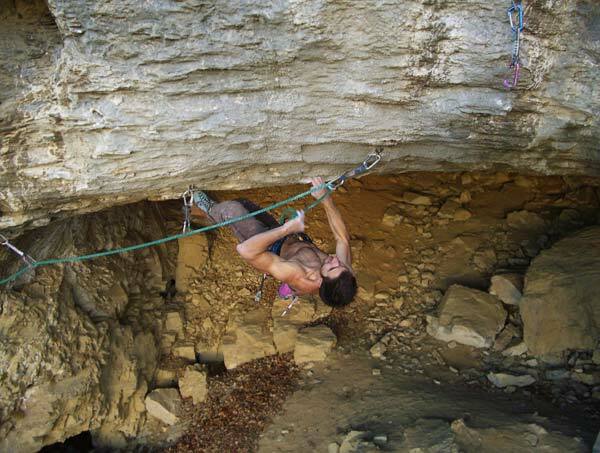 For some reason the project hadnt really been tried a lot and so I got the chance to do the first ascend of Kirikou, a short and powerful 8b. Right after its crux I saw a few holds leading right across the roof, then over a buldge into another existing route called Mandala, 8a. In the spring of 2008 I bolted the line I had scoped out the previous winter. The first tries looked promising, because I was able to do all the moves right away, but I soon realized that it would be damn hard to link them. There is no good rest in the whole route! 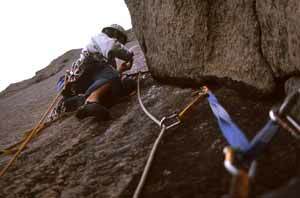 The image above shows the beginning of the traverse, right after the crux-dyno of Kirikou. 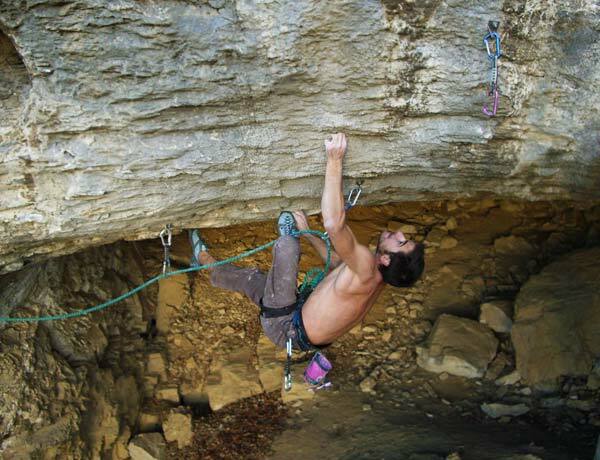 From here on you have 4 moderate moves until you get to the last clip before the actual crux or Modeselector, the buldge leading from the total roof of the cave to the slightly overhanging headwall. The crux begins. I would probably grade it an 7c boulder problem itself. 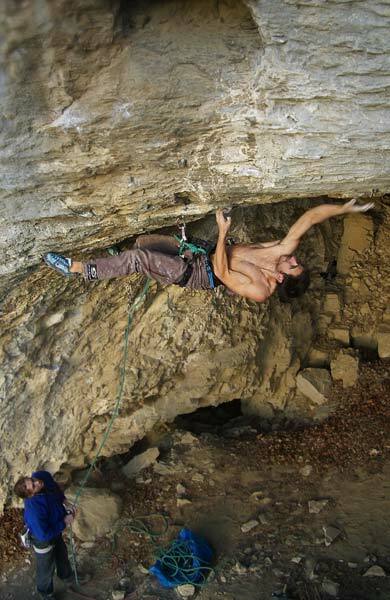 Considering the fact that you've already done some tricky climbing in the 8b+-range, it's quite hard. The holds are good, but all open-handed. Further more there aren't many footholds, as can bee seen on the picture below. Quite often I had to match hands and feet due to the lack of features in the blank roof. I dont know how many times I fell on this sequence. I was such a mind-game! I was superpsyched when I finally clipped the anchors. Of course every route needs a grade as well. This is just a proposal: 8c+? At least it felt this hard to me, but who knows... Modeselektor is definitely a king-line to me.